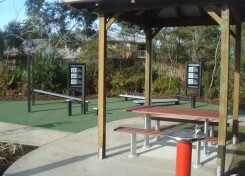 Open space recreation areas for public use within residential subdivisions or larger areas of council held land. Concept sketches for parklands can be developed from client brief within council standards for all areas or zones of adjoining development. Residential subdivisions and housing estates that are master planned and documented can provide positive economic and environmental outcomes for the client or council. 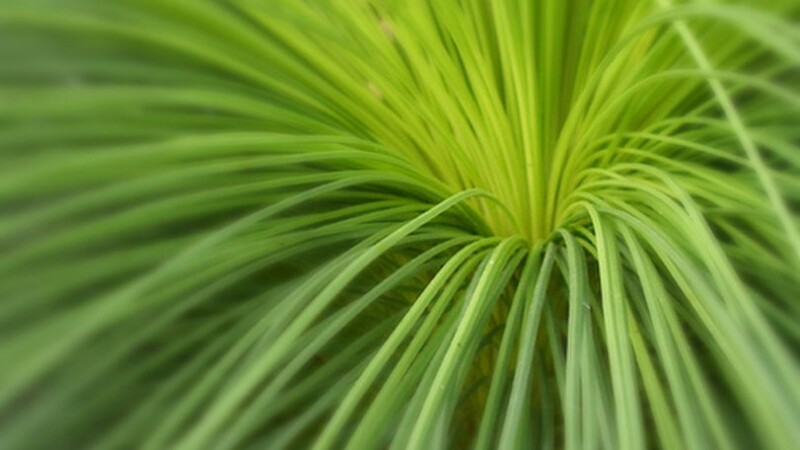 Themed parks can be designed for specific needs, location or desire. 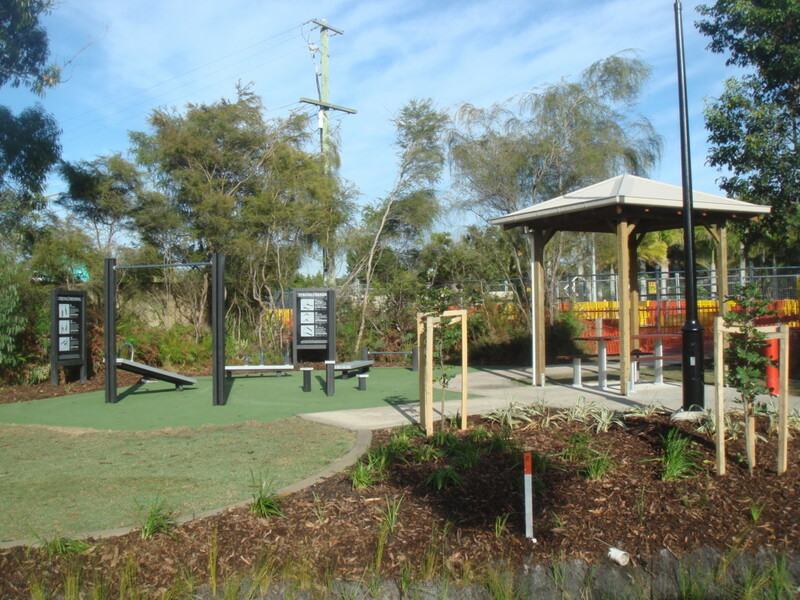 Consultation with community for required outcomes of local parks and facilities can be provided by Element Design. 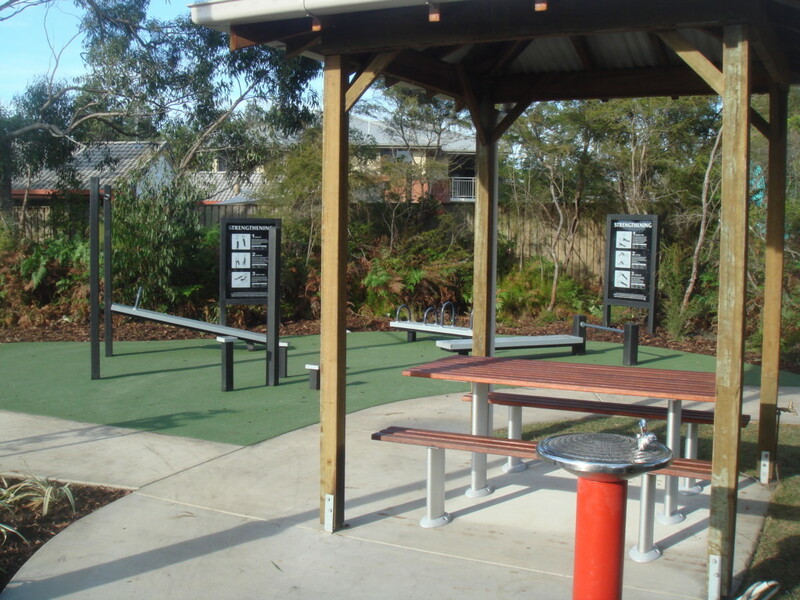 Parks can include shelters, seating, bicycle tracks, drink fountains, children’s play equipment, BBQ areas, rubbish bins, toilet facilities, shade structures. Stringybark Road, Sunshine Coast, Queensland. 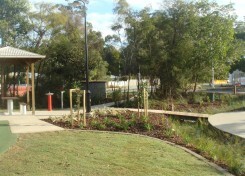 This small parcel of council land was designed and developed into a small micro park. 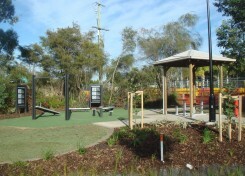 This includes passive seating, exercise and activity stations and turf areas nestled in amongst the existing vegetation. Minimal site species were removed and numerous native species replanted to embellish and complement the existing vegetation. This assisted towards softening the new covered structure and the built form. 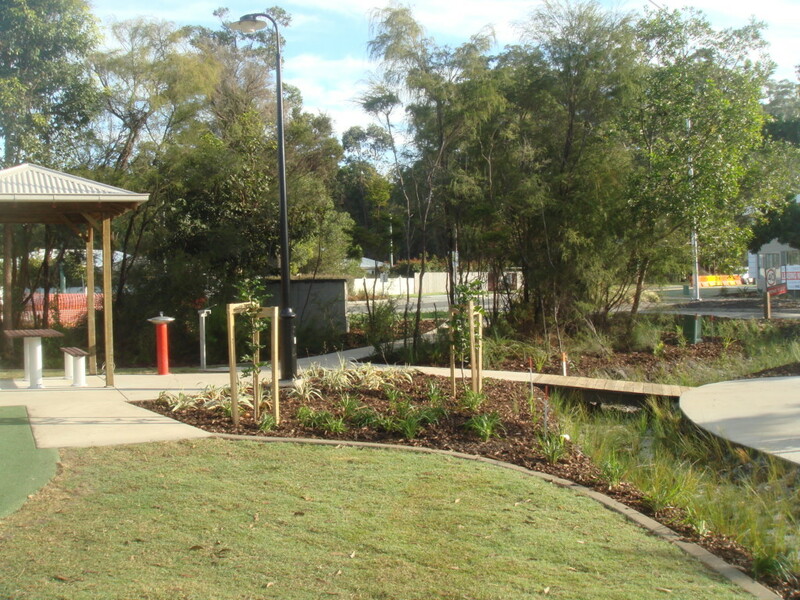 The open turf area rolls off into an oversized gravel swale, which forms a vegetative filter and temporary stormwater catchment zone from the council carparking area.